In the six months before Madras Medical Group enforced the ban, it had 199 visits from drug reps, with 23 bringing lunch for the office staff. An analysis of 46 drug samples left by the reps showed that the average cost of getting those drugs by prescription was $90 per month, when generics were available for 38 of the drugs at an average cost of $22 per month. "Samples are primarily given to promote the use of the more expensive, brand-name drugs, which in the end may be no more effective than lower-cost generics," Hawryluk writes. "But studies show that once a patient is started on a medication with a free sample, he is rarely switched to a lower-cost alternative." While large banks continue to knock off mid-size banks by offering all the bells and whistles that come with joining a national, and sometimes worldwide corporation, small, rural banks continue to survive and thrive by offering a personal touch and service larger banks can't afford to offer, Brendan Greeley reports for Bloomberg Businessweek. Even though the number of U.S. banks has dropped from 12,000 to 6,000 since 1980, community banks, defined by the Federal Deposit Insurance Corp. as having less than $1 billion in assets, hold 70 percent of the deposits in rural areas. Most community banks serve one, two or three counties. Native Americans have a different take on health reform than the rest of the country. "Longstanding treaties with the federal government guarantee all Native Americans free health care. As a result, the Affordable Care Act exempts them from paying a penalty if they choose not to purchase insurance," Christine Vestal writes for Stateline. "More than 2 million Native Americans receive free health care at federally supported Indian health facilities. Many others receive care from tribal facilities and urban Indian organizations." The Affordable Care Act even favors Native Americans, with no open enrollment deadlines, and "members with incomes below 300 percent of the federal poverty level ($34,470 for an individual) are exempt from paying deductibles and copays, so they can purchase the cheapest plans without worrying about out-of-pocket expenses," Vestal notes. "All tribal members, no matter what income level, are exempt from out-of-pocket payments if they receive services from Indian health facilities. And unlike employers, tribes can pay exchange premiums for their members without paying taxes." In an effort to find ways to improve rural health care in Kansas, six western counties "will be part of a $1.5 million initiative aimed at improving their healthcare systems in ways that can be duplicated by medical providers in other rural areas that are challenged by shrinking populations, recruiting difficulties and mounting financial pressures," reports the Hays Post in northwestern Kansas. "Health Futures Taskforces in each of the communities will receive $40,000 to hire local coordinators and work with a national consultant to develop improvement plans." A college in Texas is bringing classrooms to at-risk teens in the rural remote area of Presidio, a town of 4,200 near the Mexican border, by giving students the means to earn two years of college credit by the time they graduate high school, Lindsay Weaver reports for the Odessa American. As part of the program, the University of Texas of the Permian Basin in Odessa uses virtual classrooms to reach students who live too far from a college to attend it in person. President Obama called on Congress today to pass three things: "a responsible budget ... immigration reform ... and a farm bill." But he did not sound up to date on the status of the Farm Bill. "The Senate has already passed a solid bipartisan bill," Obama noted. "It's got support from Democrats and Republicans. It's sitting in the House waiting for passage." Well, not really. The House had some trouble passing a farm bill but finally did, and it and the Senate have named a joint conference committee to work out the differences. But Obama continued, "If House Republicans have ideas that they think would improve the farm bill, let's see them. Let's negotiate. What are we waiting for? Let's get this done." "This has to make you wonder how high a priority the Farm Bill really is for the White House," said Al Cross, director of the Institute for Rural Journalism and Community Issues (publisher of The Rural Blog) and political columnist for The Courier-Journal in Louisville. Obama said, "We should pass a farm bill, one that American farmers and ranchers can depend on—one that protects vulnerable children and adults in times of need—one that gives rural communities opportunities to grow and the long-term certainty that they deserve." Don't expect lawmakers to even begin discussing the Farm Bill until Oct. 28, Jerry Hagstrom reports for DTN The Progressive Farmer. Senate Agriculture Committee Chairman Debbie Stabenow (D-Mich.) told DTN that the Farm Bill could be added to the budget bill, which is supposed to be done by mid-December, "but warned that the bigger issue would be whether the House and the Senate reach an agreement on the budget. Stabenow said she is certain that the Farm Bill conferees will come to an agreement but is not certain about the budget conferees. Whether the Farm Bill could be attached to the budget bill would depend on 'how it is done,' she said." This leaves many worried about when a new farm bill might be passed. Hagstrom writes: "Farm lobbyists fear that it will be difficult to reach a House-Senate agreement on the farm bill, especially on cuts to food stamps. Some groups hope the farm bill might be included in a budget deal that members of Congress would feel forced to support while others worry that Stabenow [and other leaders of the agriculture committees] would lose control of the Farm Bill to congressional leadership and President Barack Obama as they work out the larger deal." "Snow Fall," The New York Times' highly acclaimed multimedia narrative about an avalanche, came out in 2012, garnering attention and excitement about the potential for such reporting, Corey Hutchins reports for the Columbia Journalism Review. After the success of "Snow Fall," similar productions showed up on the horizon, ascribing to a similar design, focusing on sports stories or outdoor adventures. These narratives came from large newsrooms such as The Washington Post and Grantland. This fall, C-Ville Weekly, a newspaper in Charlottesville, Va., with a circulation of about 25,000, produced "The Road," which Hutchins calls "A wonky, detailed but compelling multimedia project" about a proposed US 29 bypass around the town "and attempts to reset the public debate at a crucial point in the decision-making process." The state estimated that grade-separated interchanges (overpasses/underpasses) would do more to shorten delay times on US 29 than the bypass would. 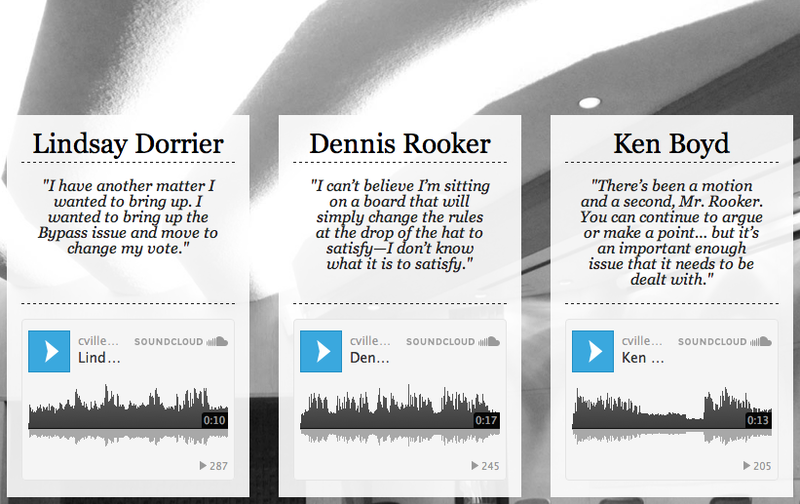 "The Road" has videos, graphics, maps, audio from public meetings editorial cartoons and a comment feature. Hutchins says one reviewer aptly described it as "exhaustive, but not, despite its wonkish policy implications, exhausting." C-Ville Weekly created "The Road" with help from Vibethink, a local web design firm. The collaboration allowed the paper to complete the project with a very low budget. C-Ville Weekly Editor Giles Morris said in a Google Hangout interview that he and his team weren't daunted by the fear that they didn't have the resources to take on the project. "You can't measure it . . . by the amount of money you throw at it," he said, expressing gratitude for Vibethink's help. The project included sound bites that readers could play at will. Joshua Hatch, senior editor for data interactives at the Chronicle for Higher Education, talked with Hutchins about the unique opportunities for news presentation through multimedia projects like this one. "Each of these media has to serve a purpose, and you use them for a reason," he said. He said it's valuable to decide which part of the story should be told through audio and which through visuals. In 2000, low-income children were a majority of public-school students in only four states: Kentucky, Mississippi, Louisiana and New Mexico. In 2011, that number jumped to 17, including almost every state in the rural South. Because of the federal government shutdown, National Park Service Director Jonathan Jarvis had to furlough 20,000 employees, or 85 percent of his staff, leaving some parks such as the National Mall in Washington, D.C., which employs 300, with only 12 working employees. But that didn't stop House Republicans on Wednesday from blasting Jarvis for closing parks, with GOP members saying the director violated federal law by barricading them and national monuments when there was no apparent imminent threat, Laura Barron-Lopez reports for The Hill. The shutdown cost the government $32 million per day in lost fees at national parks. At Wednesday's joint hearing of the Oversight and Government Reform and Natural Resources committees, Republicans questioned the barricading of the World War II Memorial and other monuments on the mall, contending that they were not barricaded during the shutdown in 1995. Jared Huffman (D-Calif.) replied, "The shutdown in 1995 wasn't some shining model; monuments were closed." He told Jarvis, "Despite the over the top, made for media accusations and sound bites in this kangaroo court, we have no reason to believe you have done anything wrong." The theme of this year's Rural Futures Conference, scheduled Nov. 3-5 in Lincoln, Neb., is "Beyond Boundaries," which "encourages all of us to step beyond our boundaries and work together to create positive rural futures," according to a release from the Nebraska-based Rural Futures Institute. The conference "will celebrate the importance of rural and create energy and enthusiasm for new and innovative ways to address complex opportunities and challenges." Features speakers are author and educator Clay Jenkinson, the director of The Dakota Institute, and Tom Koulopoulous, founder of the Delphi Group, a Boston-based think tank. Registration is $150, or $40 for students. For more information or to register, click here. Noise pollution—or lack of it—is the reason low-income rural children score better in verbal memory tests than low-income urban children. However, rural children perform worse than their urban counterparts in visual memory tests, according to a study by Dartmouth College, Priya Ramaiah reports for The Dartmouth, the college's student-run newspaper. Although there were differences between low-income rural and urban students, high-income rural and urban children had comparable scores. The tests, which were part of the Automated Working Memory Assessment, were given to 186 sixth-grade students from high-and-low-income rural areas, and high-and-low-income urban areas, Ramaiah writes. The study's author, education professor Michelle Tine, concluded that noise pollution—traffic, crowds, building signs, lights—has a negative affect on low-income urban children's working memory, while the lack of noise pollution helps low-income rural children's working memory. But lack of noise pollution hurts the visual memory of low-income rural children, who don't use the tool as much as low-income urban children, Tine concluded. 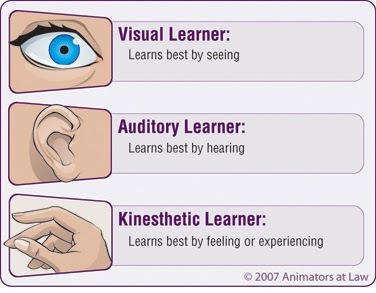 This suggests that teachers in low-income rural areas should focus on verbal instruction, while teachers in low-income urban areas should focus on instruction through visuals. (Read more) The study is available online in the Journal of Cognition and Development, which is behind a pay wall. Congress lifted its four-year-old ban on horse slaughter in 2011, and several companies have attempted to open plants after passing inspections by the Department of Agriculture. In August, a New Mexico federal judge blocked the opening of slaughterhouses in New Mexico and Iowa. Owners of the Iowa plant said they would no longer seek to slaughter horses, but the owner of the New Mexico plant vowed to keep fighting to open his business. When enrollment began on Oct. 1 under the Patient Protection and Affordable Care Act, the federal government's health-insurance website was flooded with uninsured Americans seeking coverage. Two weeks later, visits to the site have dropped 88 percent, and reports show that less than 1 percent of people who went online the first week were able to successfully obtain insurance, Juliet Eilperin reports for The Washington Post. The use of the site, and state-based sites, is a topic of an Association of Health Care Journalists webcast to be held Thursday at 2 p.m. ET. The average number of heavy-truck crashes per year in heavily fracked counties (at least one well for every 15 square miles) rose from 284 from 2000-05 to 304 from 2005-10, an increase of 7.2 percent, while the number of accidents in counties with no fracking fell 12.4 percent after fracking began in 2005, according to the report. Disorderly conduct arrests in heavily fracked counties rose from 1,336 to 1,564, an increase of 17.1 percent, compared to an increase of 12.7 percent in other rural counties. The average reported cases of chlamydia and gonorrhea was 62 percent greater in heavily fracked rural counties than in rural counties with no fracking. The report says, "The shale oil and gas boom generates tangible social costs that undermine the quality of life in rural communities. Communities and states must take these real costs into account when they consider approving controversial new oil and gas fracking. These fracking-associated social costs further demonstrate the shortsighted investment and expansion of dirty fossil fuels." To read the full report click here. William Durbin, president of global markets at Wood Mackenzie, told Tan that China, the leading consumer of coal, has no alternative to the resource "with its domestic gas output limited and liquefied natural gas imports more costly than coal." China "will drive two-thirds of the growth in global coal use this decade" with about 50 percent of the 600 gigawatt of new power generators to be built over the next five years to be coal-fired. If you lack health insurance, you're more likely to live in a rural area. Put another way, if you're rural, you're more likely to lack health insurance. Nearly one in five uninsured Americans live in rural areas, while only a sixth of the U.S. population does. For those reasons, the federal health-reform law is especially important to rural areas, but "In the launch of health insurance exchanges across the country, one issue that has not been explored much is how the marketplaces will affect rural Americans," says the Association of Health Care Journalists. So, AHCJ is holding a webcast at 2 p.m. ET Thursday to explore how rural Americans will use the health-insurance exchanges that opened Oct. 1. The panelists will be Al Cross, director of the Institute for Rural Journalism and Community Issues, which publishes The Rural Blog; Alan Morgan, CEO of the National Rural Health Association; and Jim Doyle, who covers the business of health care for the St. Louis Post-Dispatch. AHCJ health-insurance topic leader Joseph Burns will serve as moderator. Viewers of the one-hour webcast will be able to ask questions after the panelists' initial presentations. 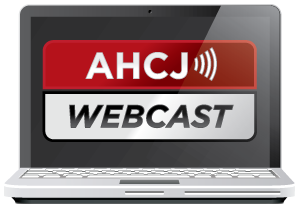 Registration is not required for the free webcast; a link to it will appear on this AHCJ web page shortly before the webcast begins. While the Environmental Protection Agency has said 15 percent ethanol is safe for cars, a leaked proposal by EPA shows to supports scaling back biofuel blending requirements to 10 percent next year, a move that's good news for oil refineries and bad news for proponents of biofuels, who "have argued for years that the blend wall is largely a fiction constructed by an oil industry that doesn't want to cede any more share of a shrinking U.S. gasoline market," Cezary Podkul reports for Reuters. Most car warranties only cover up to 10 percent ethanol, and most service stations don't sell the 15 percent blend for fear of legal risks. "If approved, the proposed cut in the biofuel mandate in 2014 to 15.21 billion gallons from 18.15 billion would mark an historic retreat from the ambitious 2007 Renewable Fuels Standard law that charted a path toward ever-greater use of clean, home-grown fuel, which the biofuel industry counts on to underpin bank loans and new factories," Podkul writes. There are already threats of lawsuits. Bob Dinneen, president of the Renewable Fuels Association, an industry group, told Podkul, "Let me be clear: any plan to roll back the targets ... under the guise of addressing the blend wall would be patently unlawful." "Climate change is making North American forests more vulnerable to insects and disease but is helping some trees grow faster and increase their resistance to pests, a team of researchers from Dartmouth University said Monday," Lenny Bernstein reports for The Washington Post. Researchers, who looked at more than 500 scientific studies since the 1950s, "said that warmer temperatures and increased carbon dioxide in the atmosphere are boosting tree growth, which could have a positive impact on economies that depend on timber and wood pulp and could help pull carbon out of the ecosystem." "Researchers found 27 insects and 22 diseases that are 'notable agents of disturbance' in North American forests," Bernstein writes. "Some areas devastated by insects or disease may be restored because of continued warming, with insects dying off because temperatures are too high for them, Weed said. But warming also allows insects to flourish and exaggerates their natural role in keeping forests healthy, the researchers found. Various types of bark beetles (above) for example, are doing more damage than expected, they said." (Read more) To read the full report click here. Another key is looking for more inventive ways to create jobs around resources communities already have, the report says. Instead of shipping crops of animals to other states for processing, the processing could be done in Arkansas, and "Instead of depending solely on the fresh fruit market, many are now producing jams, jellies and juices for sale to consumers and even selling byproducts, such as seeds and husks, to the health food market." Other ideas include having communities build on their tourist opportunities, as well as finding ways to add value to the timber and rice industries. As its coal industry shrivels, Eastern Kentucky will need a way to diversify its job base, according to a regional economic-development organization. The Mountain Association for Community Economic Development is asking lawmakers to establish a strategic fund for the region's economy and use coal severance-tax money to make it happen. 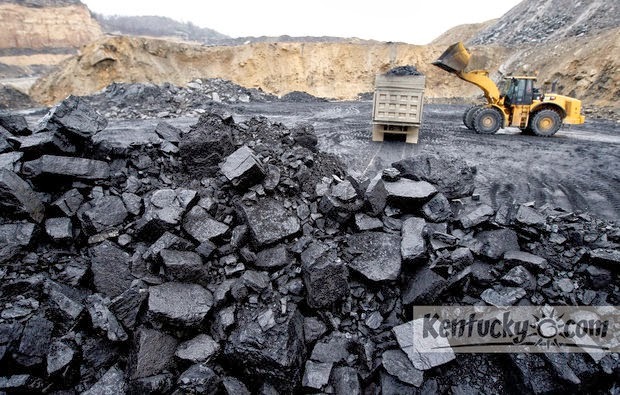 Eastern Kentucky lost more than 5,700 coal jobs in the last two years. Some people believe federal environmental rules are the reason, but many industry analysts say the low price of natural gas is the major factor, Bill Estep reports for the Lexington Herald-Leader. The decline in coal production has meant a decline in revenue from the state severance tax on coal, notes Russ Cassady of the Appalachian News-Express in Pikeville. The MACED plan calls for using 25 percent of the severance tax, which could not only be used to set the plan immediately in motion but also to provide for other needs. State Rep. Leslie Combs of Pikeville seemed to favor of the plan but pointed out that "many local officials would oppose splitting coal-severance money away from their already-tight budgets," Estep writes. Harlan County Judge-Executive Joe Grieshop told Estep that giving up money now would be hard, but could benefit everyone in the long run" "Our situation will not improve without major overhaul." Severance-funded projects have helped counties recently, but haven't been part of a big plan to boost the economy. "Piecemeal projects will never be as successful as those implemented in conjunction with a wider vision for how each piece works together," MACED said in its report. It recommended a new Appalachian commission that would promote "broad participation in creating a development plan, solicit the best ideas for the region's economic transition, and promote coordination," Estep reports. The appointment of a conference committee to negotiate a final Farm Bill was "apparently good news" for agriculture and rural lobbies, but the larger story is a change in the structure for making decisions on those issues, devaluing the House Agriculture Committee, "and this is a major setback for ag and rural interests," Charles "Chuck" Fluharty, president and CEO of the Rural Policy Research Institute, writes for Agri-Pulse. "This fact will probably be little discussed publicly, for fear of political reprisal," writes Fluharty, left. "Most advocates remain in denial regarding this subtle usurpation of historic Ag Committee standing; and, given the great relief that any conference is actually occurring, much will be overlooked. But this conference has been out of the actual control of the House chairman and ranking [Democratic] member for some time, as much has been unfortunately framed to a large degree by differences between leadership perspectives within the U.S. House, and reflective of the far deeper ideological differences which reside there." The daily lives and challenges of six rural teens in New Mexico are getting a national audience, with Thursday's PBS premiere of "Our Time is Now." The documentary follows a wide range of characters who represent the cultural and economic diversity of the state, which the film's trailers says has the most diverse rural population in the U.S. and one of the lowest high-school graduation rates. The documentary shows how the students "work toward finishing high school, wrestle with personal challenges and pursue their dreams," Adrian Gomez reports for the Albuquerque Journal. Director Erin Hudson told Gomez,“I’m really excited that audiences will get to see a side of New Mexico that goes unseen. It’s great to have this opportunity on such a big scale." Four of the six cast members now attend New Mexico State University, Tiffany Acosta reports for NMSU. Another attends Eastern New Mexico University, where he was named to the dean's list in the spring, according to a release from the college. Filmmakers spent two years following the teens. The PBS website describes the film and characters: "Waylon is Navajo and lives without running water or electricity and helps provide the basic needs for his family; Jimmy faces the challenges of poverty and lives with a family torn apart by addiction; Juan balances his English-speaking school and his Spanish-speaking home; Mitch stays rooted in her Pueblo traditions as she works hard to be the school’s valedictorian; Vicky lost her mother and must hold down a fast-food job to help support her family; Tiqua must separate from the stability of her fifth-generation farm family. The film follows the students as they face complex economic realities and straddle their hopes and dreams of childhood with the responsibilities of adulthood." Sign of change: Biomass plant will replace some power lost from closing of coal-fired plant in E. Ky. The Kentucky Public Service Commission last week approved a 20-year contract allowing Kentucky Power Co. to close its Big Sandy plant near Louisa and buy electricity generated by a biomass plant to be built by ecoPower, the Kentucky Press News Service reports. This change could lead to an increase in monthly bills for 173,000 customers and hurt a school system that receives nearly half a million dollars per year on tax revenue from the power plant, WYMT-TV in Hazard reports. Kentucky law generally promotes lower-cost electricity, but a law passed by the state legislature this year allows utilities to include in their rates the cost of power from biomass plants. The chairman of ecoPower is Richard A, Sturgill, son of William B. Sturgill, a former state energy secretary who was a powerful, influential and sometimes controversial coal operator, largely due to his strip mines. The agreement between the two power companies "promotes the inducement of an innovative energy-related business located in Kentucky that would advance the public purposes of achieving energy independence, creating new jobs and new investment and creating new sources of tax revenues," the PSC said in its order. Kentucky Power said construction of the plant will employ 230 people for two years, and the plant will employ 30 people and create an additional 225 jobs for loggers and truckers. "The utility also argued that the ecoPower contract will spur economic development in its service territory and diversify its generation portfolio, which now relies largely on coal," the PSC said. State-run health exchanges more successful than federal; how many in your county lack coverage? "While many people have been frustrated in their efforts to obtain coverage through the federal exchange, which is used by more than 30 states, consumers have had more success signing up for health insurance through many of the state-run exchanges, federal and state officials and outside experts say," Abby Goodnough writes for The New York Times. Rural people are more likely to lack health insurance. Click here to find out how many people in your county are uninsured. "Individual state operations are more adaptable," Alan R. Weil, executive director of the National Academy for State Health Policy, told the Times. "That does not mean that states get everything right. 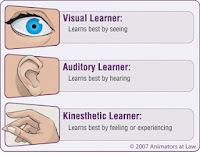 But they can respond more quickly to solve problems as they arise." Some states don't require potential participants to create an online account before researching insurance and comparing costs, which has contributed to their success. More than 40,000 people applied and were found eligible for state-run insurance in New York, and successful programs are in progress across the nation in states such as Washington State, California, Connecticut, Kentucky and Rhode Island, Goodnough writes. Several of these state-run exchanges, including Minnesota, Nevada and Rhode Island, have reported issues because they need the federal marketplace's assistance with verifying an applicant's identity, Goodnough reports. Daniel N. Mendelson, the chief executive of Avalere Health, a research and consulting company, said, "On balance, the state exchanges are going better than the federal exchange. The federal exchange has, for all practical purposes, been impenetrable. Systems problems are preventing any sort of meaningful engagement." Since Tuesday, the federal Centers for Disease Control has reported 317 cases of salmonella outbreak traced to Foster Farms with at least one case in 20 states and Puerto Rico and 232 cases in California, where the poultry was processed, Lynne Terry reports for The Oregonian. The number could be higher, but the CDC has furloughed 70 percent of its workers due to the government shutdown, and daily updates have not been available. Despite tests showing chickens in one plant had a 25 percent incidence rate of salmonella, more than double the 10 percent rate allowed, the U.S. Dept. of Agriculture, as of Friday, had not required a recall of the product. (Photo by Terry: Stores posted a notice from Foster Farms about the outbreak next to packages of raw poultry) The Oregonian initially reported on the outbreak on Oct. 7, then again on Oct. 8 when 280 cases were reported. It's not the first time the plants in Fresno and Livingston have had poor tests. Between January and September inspectors found "poor sanitary dressing practices, insanitary food contact surfaces, insanitary nonfood contact surfaces and direct product contamination," Terry reports. More than 20,000 barrels of crude oil spilled from a pipeline in North Dakota, and farmer Steven Jensen discovered it on Sept. 29 while harvesting wheat; the public wasn't informed for 11 days. Oil was gushing from the pipeline "like a faucet, four to six inches spewing out," Jensen told Todd Melby and Selam Gebrekidan, reporting for Reuters. The North Dakota Health Department was informed that day. "State officials said they believed the spill to be much smaller than it actually was and said that was one of the reasons no public announcement was made for 11 days," Aljazeera America reports. Kris Roberts, an environmental geologist with the department, told Aljazeera that although companies have to notify the state of spills, the state isn't required to release that information to the public. Alaska, Oklahoma and Texas, also major oil-producing states, also do not require government to publicly report spills. Oil and gas are regulated only by states, except for interstate pipelines, federal land and offshore wells. "It shows an attitude of our current state government and what they think of the public," Don Morrison, executive director of the Dakota Resource Council, told Aljazeera. "It's definitely worrisome. There is a pattern of current state government not to involve the public." Tesoro, the company that owns the pipeline, told Aljazeera that repairing the damage will cost around $4 million and take anywhere from several months to several years. Before this happened, concerns were already multiplying about the safety of the U.S. pipeline network, Melby and Gebrekidan report. The oil hasn't affected any water sources, Eric Haugstad, director of contingency planning and response for Tesoro, told Amy Dalrymple, reporting for Forum Communications. "Though authorities said no water sources were contaminated, no wildlife was hurt, and no one was injured, local environmentalists remain skeptical," Aljazeera reports. "When seven acres of agricultural land is affected and they say there was no environmental impact, it defies common sense and logic," Morrison said. Brian Kalk, chairman of the North Dakota Public Service Commission, told Aljazeera that while the commission usually receives word about even the smallest spills, it wasn't notified about this one until Thursday. "There is almost a million gallons of product on the ground and we need to find out what happened. I'm upset that we didn't find out until yesterday." Cleanup crews continue to work 24 hours per day digging trenches and using "super sucker" vacuum trucks to clean up the damage, Haugstad told Dalrymple. "The pipeline was shut immediately, and the leak is now contained," Tesoro spokeswoman Tina Barbee told Melby and Gebrekidan. Schools participating in a program that provides free breakfast and lunch to all students in high-poverty schools have significantly increased student participation in school lunch and breakfast programs, Charles Edwards reports for Education Week. Schools participating in the "community eligibility option" have increased student participation by 13 percent in the lunch program and 25 percent in the breakfast program during the first two years of its availability and eliminated significant administrative costs, according to the Washington-based Food Research Action Center and the Center on Budget and Policy Priorities. West Virginia achieved a 10 percent increase in breakfast participation in the first year, and collectively, Illinois, Kentucky and Michigan achieved a 25 percent increase over the first two years, reports Edward. The program allows high-poverty schools to serve all students free breakfasts and lunches without individually identifying children as eligible. Schools get about the same amount of reimbursement from the Department of Agriculture that they did under the existing system—but without the paperwork. The reimbursement is based on the total number of meals served, reports Edward. The traditional way to determine eligibility for free or reduced breakfast and lunch required families to fill out a parent-income survey, which could discouraged them from enrolling. The new eligibility option has been rolled out incrementally since it was authorized by Congress in 2010, and all eligible schools in the country may participate beginning in the 2014-15 school year. Now, the percentage of a school's children who are already enrolled in other federal need-based program or are homeless, migrant, in Head Start or in foster care, determines the eligibility of the school, reports Edward. If a school has an enrollment of at least 40 percent of such directly certified children, it is eligible. Some districts combine all their schools to include those that are below 40 percent. Participation in the program has exceeded the original expectations, with more than 2,200 schools signed up in the first seven states allowed to participate. The original projection estimated 300 schools would participate over 10 years, reports Edward reports. UPDATE, Oct. 24: Joy Pullman of the Heartland Institute, a free-market think tank, attacked the program on "Fox and Friends," saying "The problem we have [with] poor children right now is obesity, and not the fact that they're not getting enough calories." Media Matters for America, a liberal counterforce to conservative information outlets, offered research disputing the claim.